From the big and ballsy (think Hairspray’s Edna Turnblad or Chicago’s murderous Roxie & Velma) to the emotionally over-wrought (Sunset Boulevard’s Norma Desmond or Miss Saigon’s Kim), it’s tough to pick our favourite Woman on the Verge – the type of terrifying leading lady you might love to watch from the safety of the Dress Circle, but definitely wouldn’t want to leave alone with your kids. Whether or not Roald Dahl ever intended Miss Agatha Trunchbull to be played by a man is debateable. Either way, it works perfectly – all credit to an RSC production that’s brimming with ideas and invention. 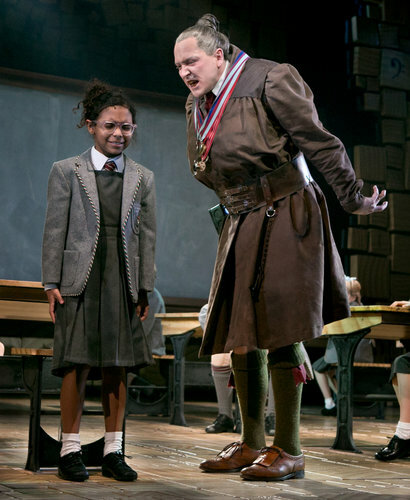 Matilda was a massive hit when it opened at the Cambridge Theatre 2011, scooping 7 Olivier Awards – a record at the time. Miss Trunchbull’s party tricks include; Swinging children around by their hair before chucking them offstage like an Olympic Hammer Thrower, kicking cats and forcing Bruce Bogtrotter to eat an entire chocolate cake in front of the school (not as nice as it sounds). She strikes fear into the hearts of students of Crunchem Hall as well as terrifying her niece, Matilda’s beloved teacher Miss Honey. She may not have telekinesis at her disposal like her nemesis, but she does have “The Chokey” – a delightful wooden torture chamber lined with rusty nails. Super fun. Rose Thomson Hovick (Mama Rose) is the ultimate pushy show-business parent. She even faked her daughters’ birth certificates to prolong their careers as child performers. So pushy was Rose, that one daughter (June Havoc) eloped at just thirteen to shake her mother’s suffocating grip: the second escaped by becoming America’s most famous burlesque stripper, Gypsy Rose Lee. The perfectly crafted Gypsy (based on a true story) never completely condemns Rose –instead affording her the complexity of a mother who wants the best for her daughters, but is so consumed by her own failure and hunger for fame that she nearly destroys her offspring – less a helicopter parent than a Scud missile. 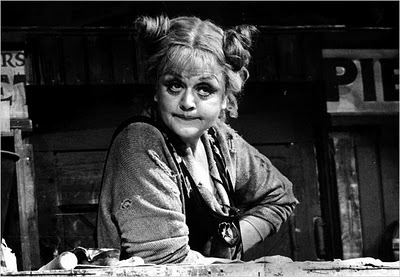 It’s that sort of realism which makes Mama Rose such a genuinely chilling leading lady. 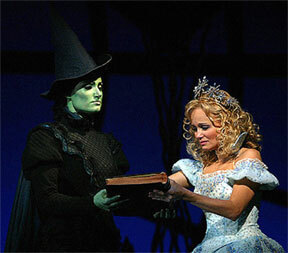 It seems unfair to describe Elphaba (the green one in the picture) as scary. Green is, for some reason, a popular colour in Theatre, TV and film (The Hulk, The Green Lantern, The Jolly Green Giant, most aliens) – so it’s safe to assume that green makeup is cheap and stays on under hot lights. Elphaba is complicated, principled, intelligent and spirited but its her lack of self-control and limitless magical powers which earn her the runner-up spot amongst the current crop of the West End’s most terrifying leading ladies. Anyone who can survive a house landing on them is pretty scary in our book…and that’s without the ability to fly and sing whilst sticking wings on monkeys. Respect. 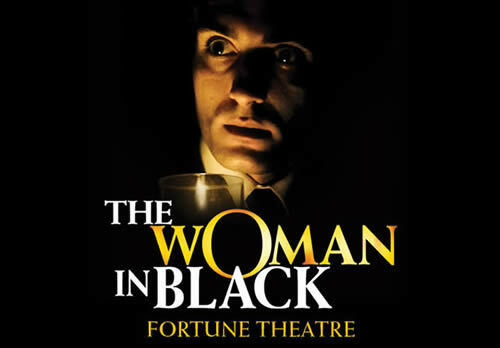 The Woman in Black: So scary we can’t even show you her picture…. If you haven’t yet seen The Woman In Black, perhaps that’s just as well. Anyone who sees Alice Drablow suffers a horrific tragedy (such as having to sit through 1h50m in the West End’s most uncomfortable auditorium). However, even though the Fortune Theatre seems to have been designed for legless midgets, the show remains one of the most chilling and fun experiences you will ever have in the West End. Alice Drablow has a very limited wardrobe, but that’s understandable. There are no decent clothes shops anywhere near Eel Marsh House, and anyway, anything light-coloured would be ruined in five minutes because the house is so filthy. Don’t let the film put you off – Alice Drablow might not have a broomstick, special effects or even a song, but The Woman In Black is the most haunting leading lady of them all. And of the new season of West End leading ladies? 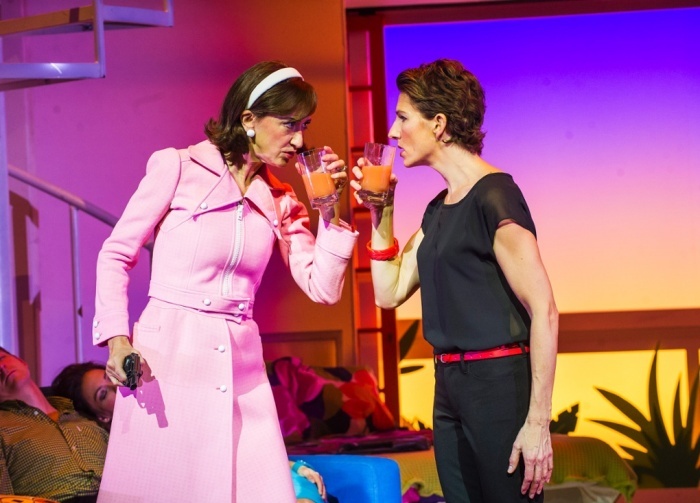 Well, we seem to have entered a Golden Age with Pedro Almodovar’s Women on the Verge of a Nervous Breakdown bringing a wonderfully eccentric slice of Madrid life to London’s Playhouse Theatre. 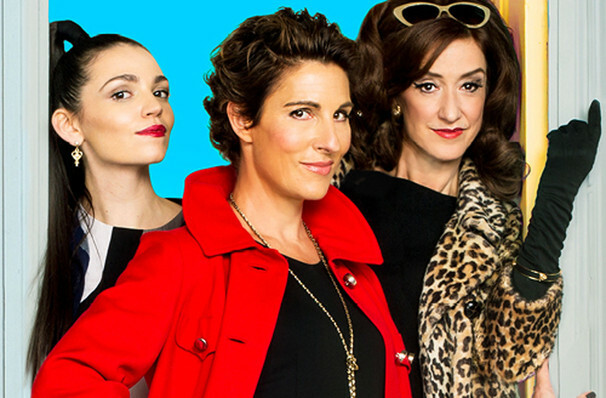 Having a breakdown can be utterly fabulous…Tamsin Greig (centre) leads a talented cast. The first thing you’ll notice when you arrive is the pocket-size of the Playhouse Theatre itself (albeit behind scaffolding). You can get to the bar okay, but good luck finding somewhere to rest your Cava. Don’t worry…Ricardo Afonso’s opening number, Madrid, is reward enough for navigating one of the tiniest foyers in London. The show’s dreamlike opening number transports us several hundred miles across the Bay of Biscay to the Art Deco Madrid apartment of Actress, Pepa (Oliver nominee Tamsin Greig). The disjointed scenes which follow all add to the show’s surreally quirky charm. At times Act One feels like a few plates of tapas rather than a big bowl of paella, but that’s the point. Pepa is having a particularly tough time. Her lover has just dumped her by answerphone, and now she’s experiencing the dread of many actresses of a certain age – being cast as “The Mother”. Greig doesn’t have the strongest voice, but her acting and comic timing compensate for any musical shortcomings. Close your eyes when Greig sings and you could be listening to Patricia Hodge. She’s joined by fellow-Olivier nominated actress Haydn Gwynne as Lucia – slightly crazy and deliciously OTT. Women on the Verge is in every sense a boutique musical. The choreography is a little too contained, and at times the vocals could be bigger, but the songs are well crafted and evocative: lyrics are intelligent and avoid cliché. The script (benefitting from the strength of Almodovar’s original screenplay) is consistently witty. When Pepa, preparing for a studio voiceover, is asked why she is wearing high heels she replies “The music sounded taller than me”. 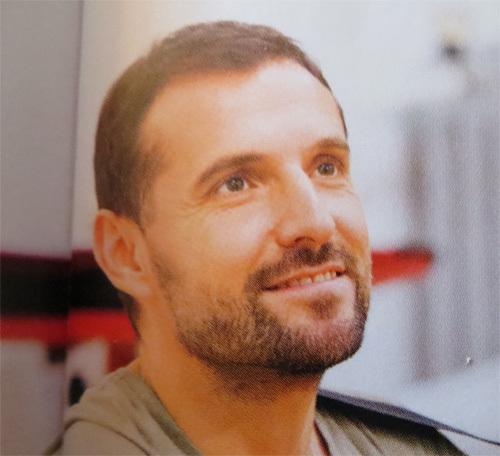 The show uses a device favoured by another latin-influenced musical, Evita, in the form of narrator/singer (and occasional taxi-driver) Ricardo Afonso. On the night I saw the show, the West End was experiencing the effects of a huge fire beneath Holborn. A dramatic loss of electrical power early in Act Two heightened the sense of drama, literally stopping the show for 15 minutes. This meant re-starting the Act, allowing us a second listen of Afonso’s mesmeric My Crazy Heart. It’s a while since a show came to the West End which immediately made me want to buy the soundtrack. David Yazbek deserves more recognition in the UK, and despite his work on Dirty Rotten Scoundrels and The Full Monty, is not a household name. The Broadway cast recording is available for Amazon download and the likes of Brian Stokes Mitchell and Patti Lupone more than make up for the lack of a London Cast recording…which is possibly no bad thing as Greig’s strength definitely lies in her acting. Magnificent one-liners tumble from the stage. When Lucia (Haydn Gwynne, still hung up on her ex-husband twenty years on) arrives, to the chagrin of her son, her daughter-in-law, Marisa dryly remarks “This is why people marry orphans”. Her throwaway delivery is timed to perfection. Both Acts move seamlessly through comedy and tragedy before descending into farce. There are echoes of Noises Off, and stylistically, moments where I felt that if I squinted I might be watching Merrily We Roll Along. But it’s unfair to describe this show as anything other than a true original. It’s probably not one to take the kids along to, but if you’re looking for a smart, funny, intelligent musical (such things do exist), then Women on the Verge is worth its weight in gold. the line “this is why people marry orphans” is not said by Pepa but delivered by Marisa the fiancé of Ivan’s son!!! Thanks for the comment Sarah, and you’re right…I’ve reattributed the line (which is very funny) to Marisa, where it should always have been!